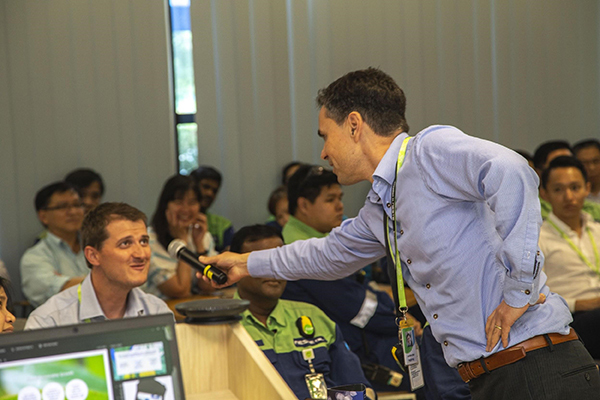 Neste Singapore held its first monthly town hall meeting for 2019 on 9 January - and it was probably one of the most exciting ones we have had so far! 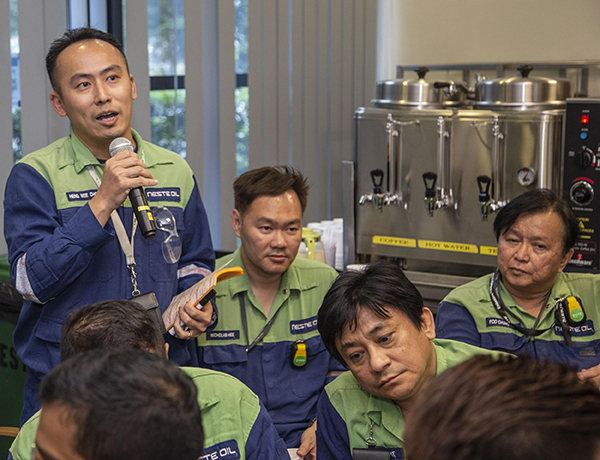 After months of anticipation, plans for the Neste Singapore 2022 Expansion were unveiled to the team at the town hall that saw over 100 staff members in attendance. To kick things off, Kenneth Lim, our Site Director, took a moment to congratulate the parties involved in achieving new production records for all product streams in 2018. Well done, everyone! All our success for last year can only be attributed to the teamwork, dedication and sheer passion of the team. Bart Leenders, Vice President of Production at Neste was also present at the town hall to share how Neste is gearing up to meet the global demand for low-carbon products in transport, aviation, polymers and chemicals. Petri Jokinen, Director of the Singapore Expansion at Neste Corporation, then took to the floor. Hailing all the way from our head office in Finland, Petri provided a quick overview of Neste’s new facilities, which will occupy approximately 35% larger area than the current Singapore refinery. The infrastructure design is a balanced solution between a ‘one refinery’ approach and dual production lines, with operations in three areas. Petri also shared that organizational development and recruitment will take place in tandem with site construction to ensure that Neste Singapore will achieve operational readiness quickly and effectively. The Q&A session that followed the presentation was probably one of the biggest highlights for the team too, as it was a great opportunity for the Singapore team to speak with Petri directly and hear his thoughts on the project. It is truly an exciting time, and we’re looking forward to the developments over the next 3 years as Neste Singapore transforms, pioneers developments in the industry, and reaches new heights. Most importantly, we’re looking forward to achieving all this together, as a united Neste team. Stay tuned!